On Tuesday October 26th 2016, we held a super insightful webinar with Steve Chou from mywifequitherjob.com. 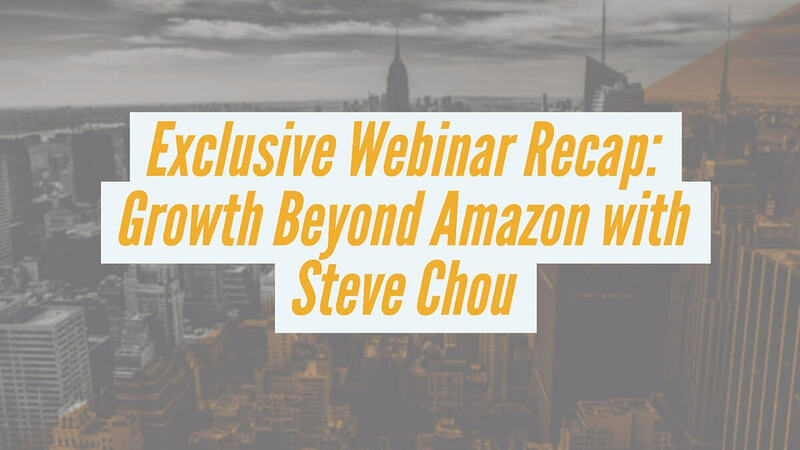 As an expert in the ecommerce world, we wanted to get Steve’s views on growth beyond Amazon, and the next steps to build a profitable empire after you have built a successful business on Amazon. The webinar had a great turnout with attendee’s tuning in all over the world (shout out to you night owls!). Not only that, we were on air at the same time as the World Series and the first game of the NBA Season – so thanks to all of you sports fans for tuning in for some ecommerce insights instead of watching the game! If you missed the webinar but still want in on all of Steve’s practical tips, I have put together a digestible recap for you. Plus, you can always watch the recording. Assuming you have found a profitable niche or niches, and you have launched and are selling products on Amazon successfully, you may be thinking about further steps you can take to move your business forward. Why set up your own online store? Steve addresses an important question here. Why would you want to start your own store if you’re killing it on Amazon? The marketplace is large and the sales are coming in, so why start your own shop? Steve’s view on this is to diversify your channels. Not only this, you can build your own brand, and encourage your customers to become return customers. Steve makes some excellent points here, that running your own store often gives people worries about carrying your own inventory. But as Steve reveals, you can store all of your inventory in FBA and actually fulfill your store sales via FBA as well. Since Amazon changed their policies on incentivized reviews, one of the main worries amongst Amazon sellers was “How do I launch my product?”. Steve points out that if you have your own store, and your own email list from that store, you have another way to launch products. You could reach out to your store email list, let them know you put a new product on Amazon at a reduced price and encourage them to go and buy that item. USA today recently published that Amazon’s share of total online sales in the US is 15%. That means there’s another 85% out there that you’re not tapping in to yet. Another interesting fact that Steve points out is that B2B sales represent 89% of all ecommerce. So having your own store allows you to tap into other marketplaces and leverage B2B sales. No matter where you start, Amazon or with your own store, multichannel selling will become essential if you are scaling and growing a large business. You’re doing great on Amazon. Don’t stop! But if you are looking for growth beyond that you may want to think about setting up your own store. Amazon will still be an integral part of your business, and is great for allowing you to generate cash flow quickly and validate your products before you venture in the world of setting up your own store. Once you’re ready and using the insights Steve goes on to share, you can utilize your own store to address different goals than you would with Amazon. You can establish your brand, create your own email lists and take on the B2B marketplace. Steve uses The Chain Analogy to explain how he likes to think about the management of selling on Amazon vs running your own store. The important thing to note is that you can’t maximize sales on your own store unless all of the pieces are in place and this takes an investment of your time. Next, Steve talks us through some of the key considerations when selecting the right tools for your store. 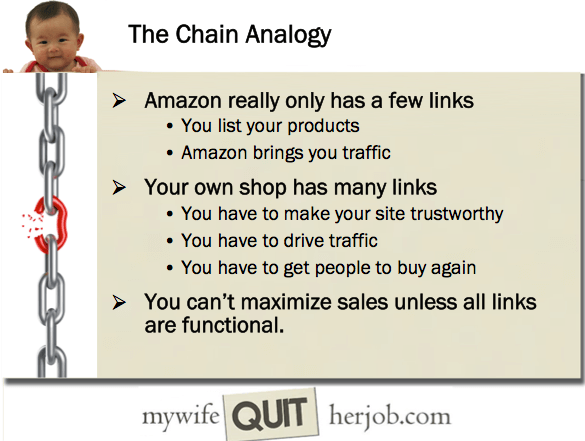 After all, you can’t get all of the links in the chain in place without a shopping cart. Steve calls these fully hosted shopping platforms. They take care of everything from setting up your store to handling payments. All you need to do is brand your site and put your products online. These options are fully managed so are going to be a little more expensive, but you need to weigh that up against your technical abilities and how much time you’re willing to invest. Steve mentions that for 80-90% of you, this would be the best option. Steve recommends Shopify if you are design or technically challenged, for peace of mind. But be aware that the base cost has minimal functionality so you will need to pay for extra features. Steve gives an example that if he was running on Shopify today he would probably be paying somewhere between $300-$400 per month. 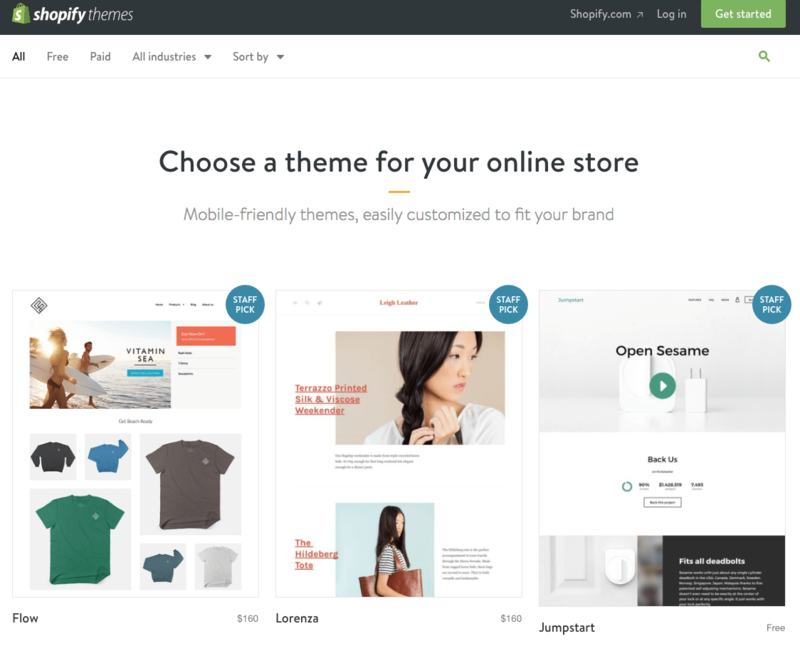 In terms of design, Shopify has a whole host of themes which actually look really neat – many of them free! In reality this is quite common. In fact there are themes that are geared towards this very purpose, such as the Jumpstart theme. If you’re more technically inclined, Steve would recommend open source tools like Opencart. These work by giving you the source code, which you install on your own server and manage your store yourself. However, if you want full flexibility and enough technical ability to succeed, go with an open source option. This is Steve’s method of choice, and it ensures the lowest costs possible, with base prices from as little as $5 entry level, up to around $50 for added functionality. Another popular option is WordPress which is one of the most popular blogging platforms. WordPress has many plugins which allow you to sell items on your own site. Steve highlights that if you already have a blog on WordPress, it might not make sense to sign up for a completely new platform. Just be cautious as many ecommerce plugins do not scale well with traffic and customers. Steve recommends the Ecwid plugin! Remember, the shopping cart is just the skin and bones, you need to ensure your store gives potential customers a feeling of trust. Many people fail with their own shops because they drive traffic to a site that isn’t ready. As such many of Steve’s following tips have been put together by paying close attention to what Amazon does, and replicating these tactics on your own shop! They say that nothing is ever new, and as Amazon is such a mature and successful player in ecommerce, why not take tips from them? Fact: In ecommerce, the industry standard of conversion rate is around 2-3%! Which means 97% of people who land on your site aren’t going to be buying, so you need a way to bring them back. If you think the four pillars look back to front, that’s because Steve wants to focus on traffic last. This is because you have to get the first three pillars right before you should drive traffic. The Chain Analogy in action! Let’s take a look at each pillar in detail. Why should they shop here? Why is your store special? Will their order be delivered on time? Will orders be handled as well as buying from Amazon? You can see that all of the above points are covered as soon as a potential customer lands on the website. This is really important and Steve comments that this is something that many online stores miss a trick with! If you’re just starting out with a new store and you don’t have testimonials yet, it’s never too late to start gathering some. Steve highlights that you can do giveaways to get a review for your own website, which you are unable to do on Amazon. Remember, you need to ensure these values of trust are replicated across your website. 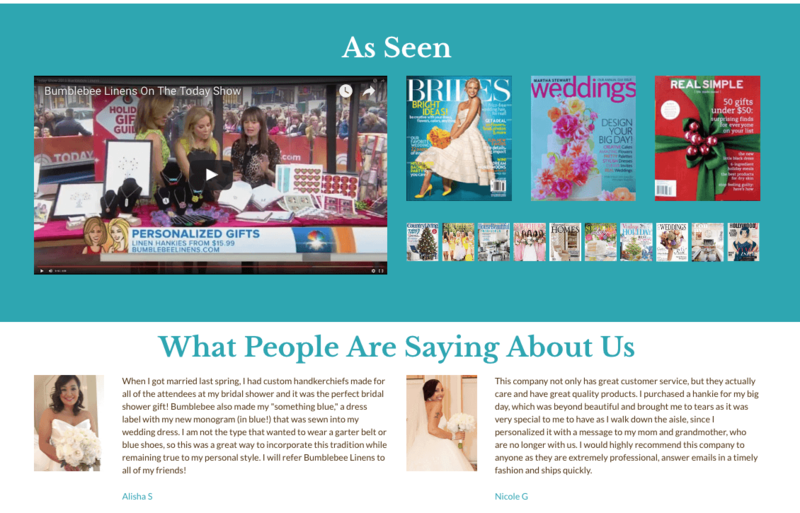 Steve gives an example of his product category pages, which have plenty of the same information about why his store is special, where his products have been featured and who recently bought an item. In Steve’s words, “Overall, there’s this feeling that this store is being shopped in!”. This is the feeling you want to create on your store. Make sure you don’t add share buttons or reviews that has zero social proof. Only put social sharing buttons on when you’ve got shares, and review counts when you get reviews. Reviews and testimonials are important, but don’t add reviews or social proof to your products if you have 0 reviews or shares. Next up, Steve discusses retaining your customers and the fact that 95% of your customers won’t buy on their first visit. This means you need to find ways to bring them back. People have short memories when they are browsing sites. Steve has three main email sequences that he uses to combat this. This is activated when a customer doesn’t complete at checkout. Note: Amazon does this. Because a large portion of your customers will abandon checkout, you must bring them back. A good abandoned cart sequence for Steve would consist of 2-3 emails, include the product and image that the customer was previously thinking of purchasing, and convert between 10-30%. This is activated when a customer hasn’t purchased for a specific period. Note: Amazon does this as well. Activated when your customer signs up for your email list on your website. This is a great way to get into your customers minds at the right time. They may not have been ready to purchase at first, but you can offer incentives and offers. Some key tips from Steve are that you should find ways to add value in these emails, related to your product niche. Steve uses Klaviyo for his automated email sequences, which he mentioned integrates well for ecommerce platforms including Shopify. Another popular way to recapture visitors who left without purchasing, Steve recommends leveraging Facebook Retargeting. This allows you to display ads to visitors, showing them products they previously displayed some interest in by viewing them on your website. The third pillar is getting existing paying customers to come back and buy again! Again, customers are forgetful and they won’t just come back based on memory, even if they had a really good experience. Lapsed Customers – Again, Steve leverages email sequences that convert well for ‘lapsed’ customers. For example, you could send an email to customers who have not been back in a 6 month period. Add some value such as telling them that you’ve added lots more products or offer a coupon or incentive. Post Purchase Sequence – If someone buys from you once, the chances they might buy again are higher (depending on your type of product of course). As soon as Steve’s customers make a purchase, he has a sequence to upsell other products, tell them about new products, offer some free content or offer coupons. The key with return customers is to remind them that you exist, in a timely manner, and ensure you are adding value with your emails. The importance of reviews on Amazon is no different on your own ecommerce site. As Steve highlights, there are no rules when it comes to asking for reviews on your products on your own website. Steve emails his customers asking for reviews and social shares. Note: there are plugins on all shopping carts that allow you to get your reviews pulled in to the search engine results pages. Or if you’re technically inclined you can add it yourself using structured data with Schema.org. The final and fourth pillar is traffic. If you remember, Steve decided to put this last because he wanted to focus on the first three pillars before really putting in efforts to drive traffic to your new site. This is a common fear that people have when they start their own store. “What if I get no traffic? I am guaranteed traffic on Amazon”. Steve gives three examples of some low-hanging fruit in terms of ways you can drive high converting traffic to your site. Google Shopping – as you are browsing Google, you will sometimes see product listings directly in the search results. These are ads that run in Google’s search network and they convert really well. Fully hosted tools like Shopify even have plugins that make setting up and running Google Shopping ads more straight-forward. Facebook Ads – Facebook ads work very differently to Google, which works based on search terms that actual people search for. Conversely, Facebook is more of a display network. Not forgetting that Facebook is used by people for their personal lives. Because of this Steve uses different tactics on this network. These include driving people to a content page, or a coupon page and then let your email funnel close the sale. Here, it’s important to ensure your customer is persuaded to sign up to your email list, OR make a purchase once they click on the Facebook ad and go to your landing page. If you are successful on this network you can pay anything from 15-20 cents/click. Run Contests or Giveaways – Amazon sellers are no stranger to running promotions. Steve uses Gleam.io to run contests and giveaways which can be a fantastic way to gain contacts for your email list, social shares, reviews and most importantly, conversions and profit! Phew! That webinar was action-packed, and gave us all so much to think about. Many thanks to Steve for taking the time to put all of that together and share it with us in such an engaging webinar. Hopefully you enjoyed this exclusive recap, and don’t forget you can watch the whole thing. Clearly, Amazon is still an amazing way to make money and it requires much less of your time than setting up your own store. Steve actually recommends that you still use Amazon first, and then if you are looking for ways to branch out and diversify then setting up a store might be the option for you. Are you thinking about setting up your own ecommerce store based off your success on Amazon, or have you already done so? We’d love to hear your experiences, thoughts and ideas in the comments. Can I build a website with Shopify or opencast and still have all my orders be directed to Amazon? Or have Amazon fulfill the orders from my own site? That’s an awesome webinar with lot of action packed points. 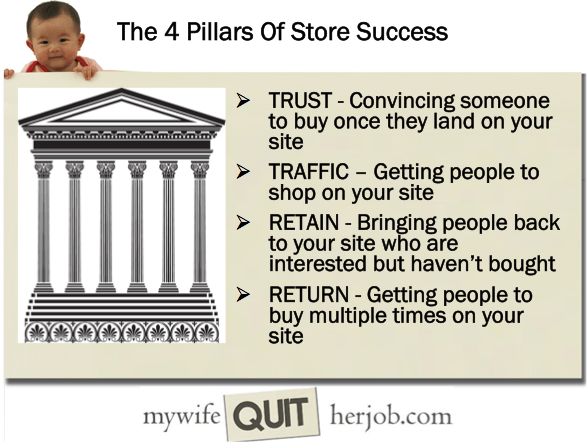 I am working on my shopify store and I would use the 4 pillars to build my ecom store.